THE MAJORITY OF Irish people believe that health professionals should be the ones who intervene when it comes to drug use by a loved one, according to a new survey. Eight in ten people who responded to a poll carried out by Red C for the Ana Liffey Drug Project said they would prefer health services to deal with those caught in possession of drugs. Around half of respondents disagreed that their loved one should be prosecuted in court or arrested over the use or possession of drugs, while a quarter of respondents were unsure. Meanwhile, a quarter of respondents to the poll said they are using illegal drugs or have done so in the past. The survey asked a random sample of 1,007 adults across the country, who were questioned about attitudes towards interventions in the case of drug use by a loved one. According to the group, there were 12,201 recorded incidents of possession of drugs for personal use in 2017, representing over 72% of all drug offences. Ana Liffey Drug Project CEO Tony Duffin suggested that because drug use is a crime, it compounds the worry that people feel when they take drugs, and may stop them from seeking help. “How we currently respond does not work and needs to change,” Duffin said. 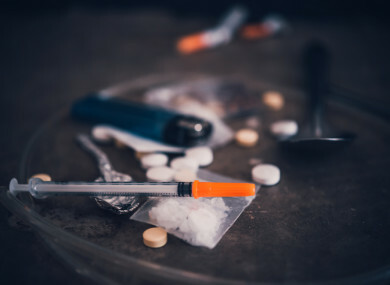 The group has pushed for drugs to be decriminalised to help those who suffer from addiction, which Duffin said is not the same as legalisation, as it means that drugs would still be illegal without criminalising the user. Email “Majority of Irish people believe drug users should be dealt with by health services, not courts”. Feedback on “Majority of Irish people believe drug users should be dealt with by health services, not courts”.